Lee T-shirts is far more than a company that just sells custom t-shirts. We are an Australian owned and family run business with an extensive history in the garment printing and embroidery industry, with a focus on delivering the highest quality custom t-shirts Australia wide. We are always searching for new and innovative ways to customise your apparel and you can trust that we always have your satisfaction in mind in everything we do. Lee T-Shirts was established in the northern suburbs of Brisbane in 1984 with a dedication to providing the very best garment decoration services. We have built this business from the ground up with a solid foundation of high-quality products and friendly customer service and, as they say, the rest is history! More than 30 years later, Lee T-Shirts continues to evolve to meet the needs of our clients. Our services are produced in-house and we never outsource. We provide high-quality screen printing and design services, embroidery, direct to garment printing (DTG), digital transfers, and sublimation. In short, we offer the ultimate textile decoration solutions! With a long history and dedication to our craft, we continue to strive to improve our service offering to our customers right across Australia. At Lee T-Shirts, we master every form of garment decoration technique available including screen printing, embroidery and digital printing. As professionals in the industry with over 30 years’ experience, all of our customers from individuals to large corporations will love the quality result they receive from every piece of apparel we customise. With so many years of screen printing, embroidery and manufacturing experience to draw on, the efficiency of the latest printing technologies, and the warmth of a family run business, the Lee T-Shirts team takes pride in providing customers with high-quality products and personalised service. See our services page for a full list of printing and design options we have available. Lee T-Shirts online also makes it easy for you to custom design your own full-colour T-Shirts for promotional and personal use. We have the very latest, up-to-the-minute DTG equipment which means that there are no minimum orders and the turnaround time is fast! One-off prints or extra-large orders, from the smallest projects to the largest. We are here to help, and we love what we do! Lee T-Shirts always aims to stay on trend in custom garment printing applications to ensure our customers have the widest range of methods available to customise the apparel of their choice. We have now invested in the most up-to-date and modern technology available when it comes to garment printing in the industry today – DTG printing. Our Direct to Garment Printing (DTG) equipment not only applies any full-colour design directly onto fabric quickly and easily for an unlimited number of garments, but it also produces high-quality results, no matter how elaborate your design may be. Thanks to this new technology, we are now able to offer an easy to use online design your own t-shirt tool where the printing opportunities are endless. The design process is completely in your hands. 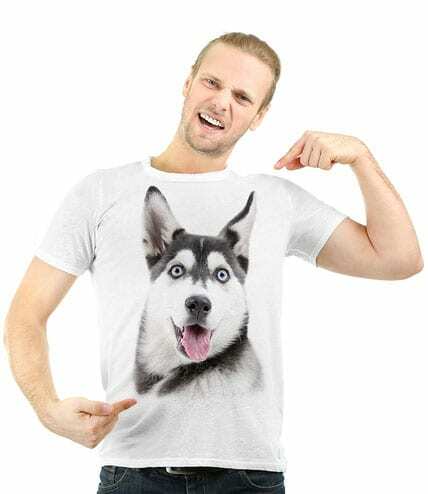 Just upload and position your desired image or text onto the shirt, place the order and it will be printed exactly to your specifications and delivered to you right away. We wouldn't be where we are today if it weren’t for our trusted local suppliers who provide us with expertly manufactured and highly durable garments, helping to ensure a commercial quality product is achieved with every order. Our extensive list of suppliers includes Biz Collection, Ramo, Gildan, JB’s Wear, DNC Workwear, BeSeen, Syzmik Workwear and Grace Collection. Each brand specialises in their own type of clothing from casual basic t-shirts and pants to workwear and fitness gear. Visit our catalogues page to view all of the apparel available under each brand. We have printing and embroidery services that will suit all garments and fabrics listed on each brand’s website. Every decorated item of clothing and custom T-shirt Australia wide is guaranteed to be of the highest quality with a commercial quality print or embroidered design expertly applied. All of our printing services are performed onsite in Australia. We never outsource any of our printing services. We guarantee a fast turnaround for large and small orders alike thanks to our in-house printing service and state-of-the-art direct to garment printing technology. We stand behind the quality of our products, which is why we offer a full refund within 30 days of your purchase. Take a look at our Guarantee page for more information about our commitment to customer satisfaction. We always work hard to meet your expectations when it comes to creating and supplying custom t-shirts Australia wide, which is why we are open to suggestions and client feedback so we can continue to improve our service and product offering. If you have any suggestions on how we can enhance our business further and provide the services you are looking for, visit our customer feedback page. We would love to hear your thoughts! If you would like to place an order with us, contact us directly by calling (07) 3265 3258 or email us at sales@leetshirts.com.au. We are happy to discuss any of your requests with you as well as offer any suggestions or advice on the best printing applications for your particular needs. Alternatively, you may like to use our Design Your Own online application where the whole process from decoration right through to payment is completed online. If you are just after a simple printed design on a basic garment, this is the fastest and easiest option we have available. If you are looking at ordering custom apparel for corporate staff, promotional materials or a sports team, please contact us directly for superior and tailored customised services. When you need custom t-shirts delivered to your door fast and with the very best printing results possible, Lee T-Shirts is the only place you need to turn.